As soon as the fringe decorations and street signs are dismantled, and last of the flyers swept away from the ground, a whole new cohort of inhabitants begin to descend on the city: students! To some, this may be your final year and you’re settling into the inevitable final stretch of dissertations; for others this will be your first time moving to Edinburgh and moving away from home for the first time! 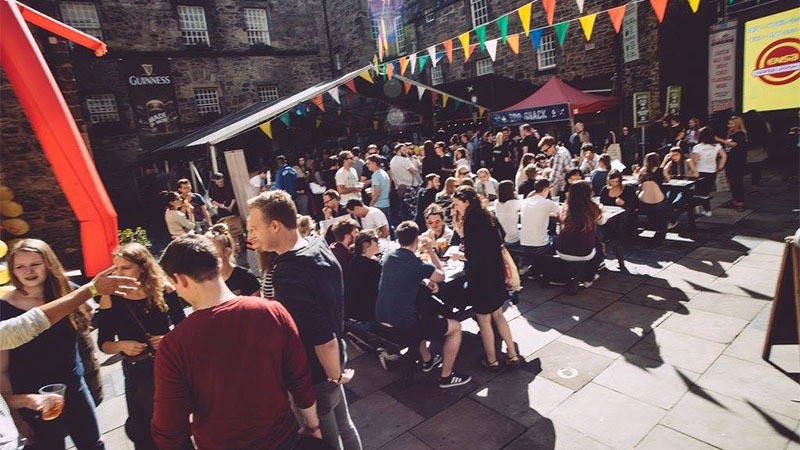 Luckily, we here at The Three Sisters have put together a handy guide of how to make the most out of your fresher’s week, and some tips for surviving! What are the essentials to have/do? 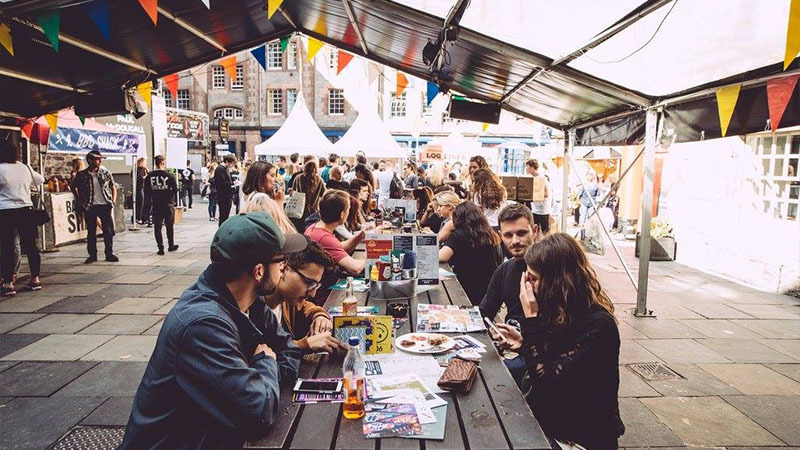 We’ve thought of some things to help make your fresher’s week go as smoothly as possible, and to ensure you have maximum time to have fun rather than spending it stocking up on stuff! Good shoes – Edinburgh is a city full of hills and more often than not it will rain at least once a day. Make sure your feet are well prepped! ID – nobody wants to be that person denied entry into a club or bar because they forgot their ID! Some vegetables – whilst it may seem like a good idea at the start of the week to live on a diet of mostly pizzas and takeaway food, having a few bits of fruit or veg a day is still very important and can help stave off the dreaded fresher’s flu! Have a walk around the uni during the day – it’s good to familiarise yourself by having a walk around the uni during the day so you know where things are and don’t have a panic on first day of lectures. This also comes in handy to know where you’re going on your walk home from town at night back to halls! Why not take some of your new flat or course mates and make it fun? Make sure to go to all your registration classes – While going to a 9am registration class during the middle of fresher’s seems like the last thing you’d want to do, it can be very beneficial! This is often where you can sign up for the good tutorials and seminars, or even just so you recognise people on the first day of lectures. We also have an enormous 225 inch TV screen in the middle of the courtyard – the perfect spot to soak up any nice weather that we may have, or to catch the latest sports! 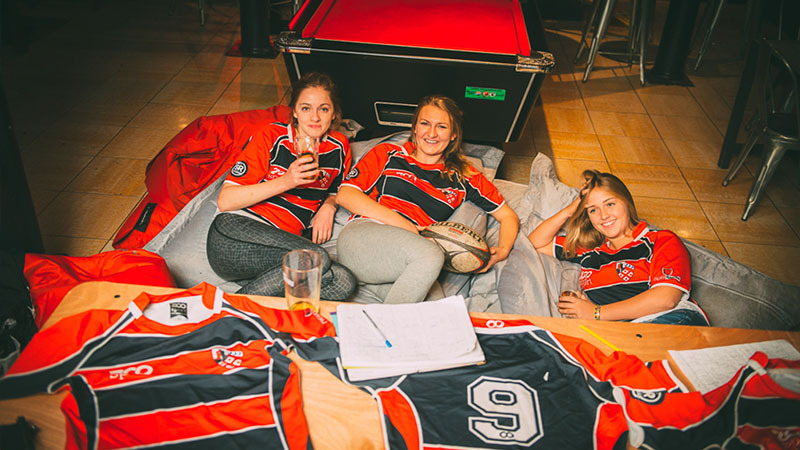 We’ll have pub quizzes every Tuesday, and also have deals on drinks with valid student ID. 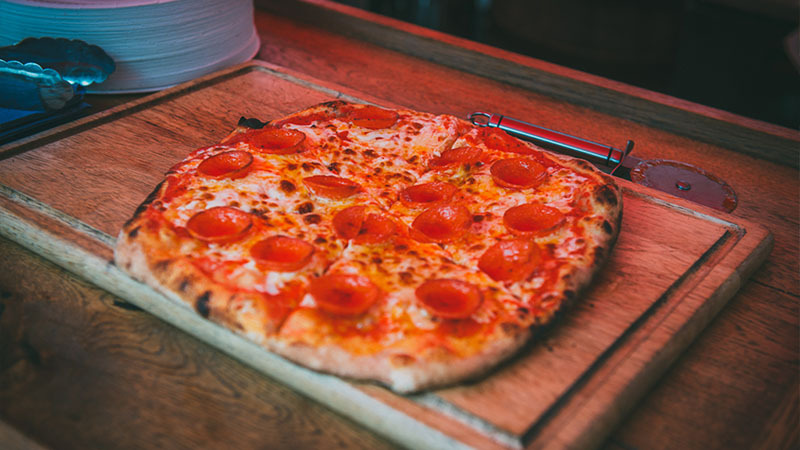 We’ve got tasty scran on our menu and are open from 7am, so you can fill your boots with food to help get rid of the inevitable hangover from the night before..
What else is happening in Edinburgh? ‘Pitch n Putt’ at the Golf Tavern – for just a fiver, you can take on the oldest short-hole golf course in the world! Located in Bruntsfield Links you can pick up your clubs and golf balls from the Golf Tavern and make your way out on to the course! Then, stop back inside to return your equipment and celebrate with a well-deserved pint!